Fall in love with your country all over again. Rubin Felds killed a Buzzard of the large Kind near the whale we Saw measured from the tips of the wings across 9 Â½ feet, from the point of the Bill to the end of the tail 3 feet 10 Â¼ inches, middle toe 5 Â½ inches, toe nale 1 inch & 3 Â½ lines, wing feather 2 Â½ feet long and 1 inch 5 lines diamiter, tale feathers 14 Â½ inches, and the head is 6 Â½ inches including the beak. 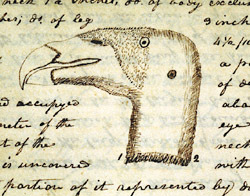 Lewis's drawing of the "vulture of the Columbia"
Shannon& Labuish brought me one of the large carrion Crow or Buzza[r]ds of the Columbia which they had wounded and taken alive. I b[e]lieve this to be the largest bird of North America. it was not in good order and yet it weighed 25 lbs. had it have been so it might very well have weighed 10 lbs mor[e] or 35 lbs. between the extremities of the wings it measured 9 feet 2 inches; from the extremity of the beak to that of the toe 3 F 9 1/2 In. from the hip to toe 2 feet, girth of the head 9 3/4 inches. girth of the neck 7 1/2 Inches; do of the body exclusive of the wings 2 feet 3 Inches; do of the leg 3 inches. the diameter of the eye 4 1/2/10 ths of an inch. the iris of a pale scarlet red, the puple of a deep sea green or black and occupies about one third of the diameter of the eye. the head and a part of the neck as low as the figures 1.2 is uncovered with feathers except that portion of it represented by dots (see likeness) the tail is composed of 12 feathers of equal length, each 14 inches. the legs are 4 3/4 inches in length and of a white colour uncovered with feathers, they are not entirely smooth but not imbricated; the toes are four in number three of which are forward and that in the center much the longes[t]; the fourth is short and is inserted near the inner of the three other toes and reather projecting forward. the thye is covered with feathers as low as the knee. the top or upper part of the toes are imbricated with broad scales lying transversly, the nails are blak and in proportion to the size of the bird comparitively with those of the halk or Eagle, short and bluntly pointed. the under side of the wing is covered with white down and feathers. a white stripe of about two inches in width, also marks the outer part of the wing, imbracing the lower points of the feathers, which cover the joints of the wing through their whole length or width of that part of the wing. all the other feathers of whatever part are glossey shining black except the down which is not glossey but equally black. the skin of the beak and head to the joining of the neck is of a pale orrange yellow the other part uncovered with feathers is of a light flesh colour. the skin is thin and wrinkled except on the beak where it is smooth. this bird flys very clumsily nor do I know whether it ever seizes it’s prey alive, but am induced to believe it does not. we have seen it feeding on the remains of the whale & other fish which have been thrown up by the waves on the sea coast. these I believe constitute their principal food, but I have no doubt but that they also feed on flesh. we did not me[e]t with this bird un[t]ill we had decended the Columbia below the great falls, and have found them more abundant below tide-water than above. I believe that this bird is reather of the Vulture genus than any other, tho’ it wants some of their characteristics particularly the hair on the neck and feathers on the legs. this is a handsome bird at a little distance. it’s neck is proportionably longer than those of the hawks or Eagle. Shannon also brought me a grey Eagle which appeared to be of the same kind common to the U’States; it weight 15 lbs. and measured 7 Feet 7 Inches between extremities of the wings. At 4 P.M. Sergt Gass and party arrived; they had killed eight Elk. Drewyer and Whitehouse also returned late in the evening, had killed one Elk. Labuishe informed me that whe[n] he approached this vulture, after wounding it, that it made a loud noise very much like the barking of a dog. the tongue is large firm and broad, filling the under chap and partaking of it’s transverse curvature, or its sides colapsing upwards forming a longitudinal groove; obtuse at the point, the margin armed with firm cartelaginous prickkles pointed and bending inwards. Lewis and Clark did not realize that they were the harbingers of the condor’s doom. At the time they encountered the condor, the birds thrived from northern Baja California to the Pacific Northwest. Unfortunately, the great bird was no match for the tide of settlers that came flooding into the area later in the 19th century. As people poured into the Northwest over the Oregon Trail, the condors began to die off, killed by hunters and ranchers and squeezed out for food. As their habitat disappeared, so did the condor. The last official sighting of a condor in Oregon was in 1904. By 1984, only 15 birds remained anywhere. 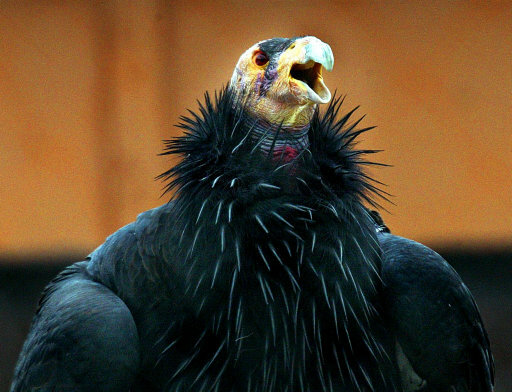 Luckily for the condor, conservationists stepped into save it from extinction. 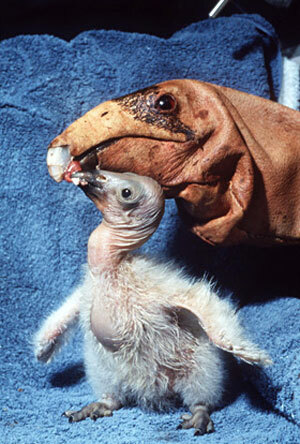 By 1987, all remaining wild condors were captured from the wild, and zoologists, led by staff at the San Diego Wild Animal Park and the Los Angeles Zoo, started a captive breeding program. These institutions were joined by the Oregon Zoo and the World Center for Birds of Prey in Boise, Idaho. 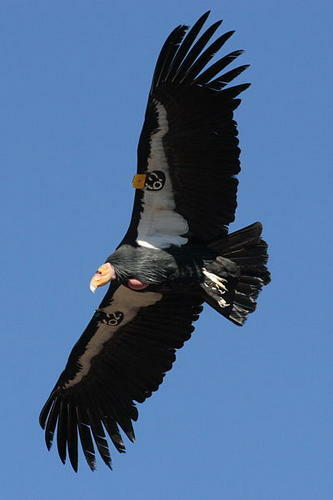 The California Condor Recovery Program began reintroducing birds to the wild in 1992. Thanks to continued efforts of biologists and researchers, there are now almost 350 condors living, including 187 condors flying free in California, Arizona and Mexico. I think that’s great that Lewis and Clark got to see the Western U.S. in it’s original state before it became settled, as well as seeing almost extinct animals such as the condor. The condor is a great story of how humans can save animal species from extinction. Check out our BIG SALE under "Buy Now." You can order autographed books, and save 40% over Amazon's prices! Buy the set and save even more! Plus you can buy our books in a number of e-book formats, including Kindle and Ipad!